well I'm sold.. its a can and decat for me. I just need to find the appropriate link pipe and I'm sorted. @600f. I've got a double bubble, powerbronze I believe... looks decent though I got it with the bike so I can't compare use with stock nor price comparison to others. Yeah mine came with the standard clear screen, it's ok but not a nice as a blacked out or tinted screen. Might order one. Any chance you could post up a pic please? funny you should say that you didn't like a Street Triple. I had one too and didn't like it. Dunno why really, i just couldn't 'get along' with the bike. I used to think I was nuts because of how much praise the bike gets. could you guys tell me what miles per litre you are getting so i can judge against mine,with the over fueling issue,if you don,t know its the black button next to the speedo ,you can press it a few times and scroll through the menu. That looks really good! Thanks for posting up a pic for me. Does that sticker come off, or is it permanent? I'm not a fan of any stickers on my bike. Got a bit of OCD about it. Oh, and I very nearly went for a triple instead of the CBR. Glad I didn't in the end, this bike seems more fun. Last edited by CBR_600f; 11-01-2016 at 01:37 PM. 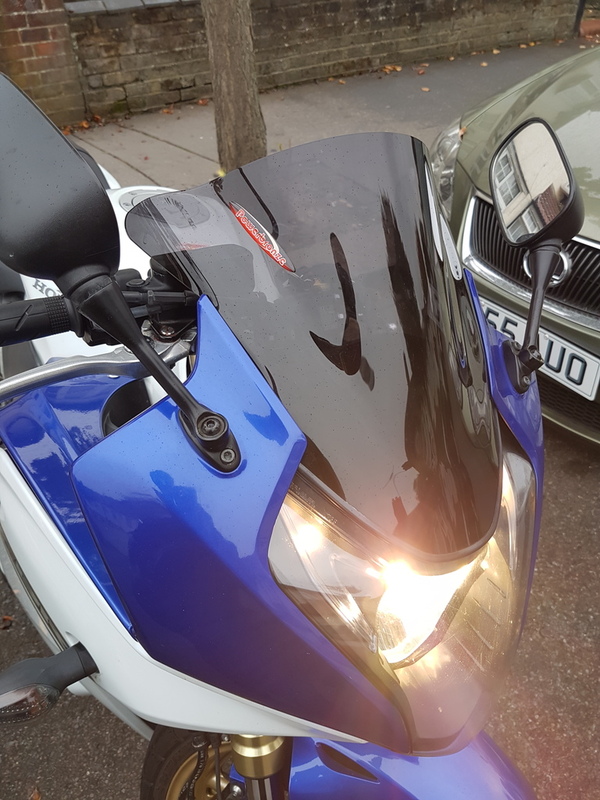 Has anyone replaced the air filter on the CBR600f? Where is it located, sounds like a daft question but I can't seem to find any details online or any installation videos. Last edited by CBR_600f; 11-02-2016 at 07:42 AM.